Together with one of our local colleagues we are happy to be able to offer you a prime real estate opportunity in the Riviera Maya. The owner created a relaxing and Zen interior and exterior,whether you are relaxing in one of the two master suites, seating in your living room or lounging on your private terrace this home gives a sense of continuous intimacy mixed in with simple yet elegant everyday living. Completing the ultimate luxury Casa Serena provides the sort of exclusivity that only homeowners and their guest are able to access in Villas del Mar 1, two infinity pools and tennis court and gated parking. 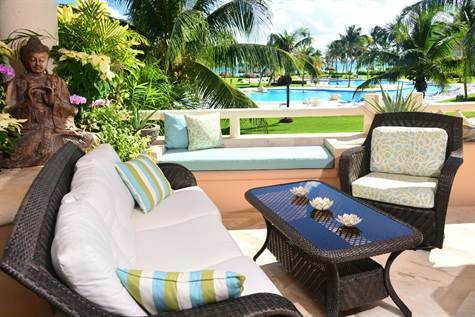 Indoor and outdoor living at its finest,with exceptional views Pricing for Casa Serena is firm. Hello everyone, here is another amazing opportunity you should keep in mind when planning your real estate showings with us on your next trip to Playa del Carmen. Several units have already been sold but 3 are still available. This beautiful condo boasts fantastic quality of construction and design. 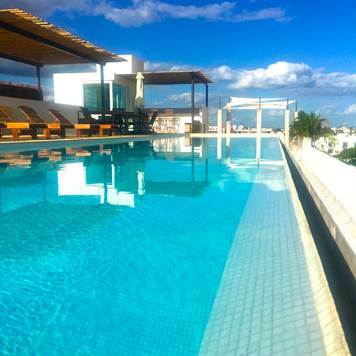 With a rooftop pool with ocean view, an elevator, and underground parking, it’s located in a tranquil, but very central location. There are also so many more details that you will be able to appreciate! The one thing that always makes me happy when showing these units is that the developer created very warm and intelligent floor plans, where every square inch makes you feel like home! Click here or on the photo above for more photos or information. 5 minutes from 5th Avenue! 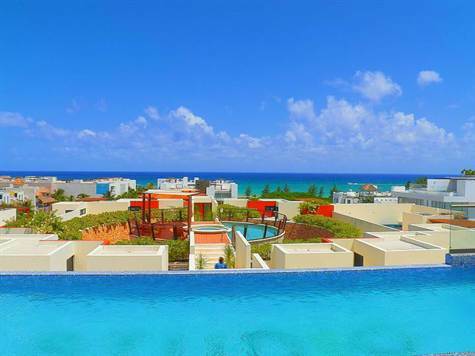 It has not been the best weather here and it is kind of cold as we speak, but when I checked out the weather forecast for the US and Canada, I figured it might be a good moment to invite you to invest in Real Estate in the normally sunny Caribbean! This great 2 bedroom ground floor unit is centrally located in walking distance to the beach. This unit has a fantastic common area and a Hazienda Style architecture and you can enjoy the warm days on your private terrace in the future. This unit is priced to sell at 183,000 USD! Please don’t forget to give us 48 hrs notice for showings as it is a great rental property and might be occupied by some snowbirds. Don’t miss out on this fantastic opportunity if you are looking for some great condos for sale in Playa del Carmen. 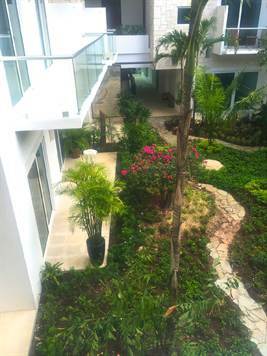 This unit is also a newer piece of property to the Playa del Carmen Real Estate market. It has 2 bedrooms and is situated in the best location. It will be sold to you completely furnished and is ready to create the new owner lucrative income through vacation rental. Located on the ground floor in one of Playas most desired buildings, you are just 5 minute walk away from 5th Avenue in the Mamitas beach area/Little Italy. One of the best common areas with a huge pool and lots of tropical plants is one of the biggest reason to buy into this complex. The owners have done a nice upgrade in the interior as well and picked high quality furniture to design this place and make it a comfortable home. Price has been reduced from 195k to 189k in order to sell quick! Click here to go directly to the listing to see more photos, or just click on the photo above.